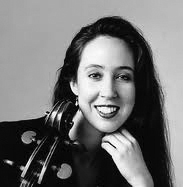 Jennifer Lucht, cellist, is a native of North Carolina. As a chamber musician, she has been heard in chamber music performances at the Kennedy Center, Weill Recital Hall, Tanglewood, the Ravinia and Bravo! Vail Festivals, and on the Greater Philadelphia Performing Artists Series and NPR’s live broadcast “Performance Today." Praised for "superb" playing by the Boston Globe and "beautiful, finely detailed sound" by the Boston Herald, she has been concert soloist with orchestras including the Metamorphosen Chamber Orchestra and Vermont Symphony.